We have gotten into a rut. A bad rut. This rut involves us being in so many activities that for almost a year, there was only one night a week that we would actually be home. Supper was a rushed affair usually in front of the television, and almost never eaten as a family. This was a far cry from how we did things just a year earlier. I was always proud of how as a family, we would eat supper together, at the dinner table, and talk to each other about our day. It was important to me and Steve to make sure that dinner time was family time. Friday night was the exception which we instituted as Family Movie Night. We would usually make pizza and watch a movie as we sat together on the couch. Wednesday was our family game night. Right after supper we would play a game together, usually a board game. We would have fun, and we would enjoy each others company. Then last year, life happened. We let activities take over our evenings. We had cub scouts, and football, then basketball, then baseball. We also had piano lessons, tumbling, and hip hop. Then we had the regular school evening activities thrown in on top of that. Sometimes we were rushing from one thing to another. Or we would even be double-booked, and have to miss out on something. Needless to say my kids were in a lot of activities! On Facebook we looked like a super-family. We were going and doing everything. In real life, we hated it! 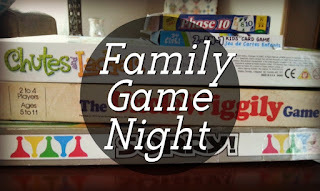 The kids begged to have a family game night again, but because we were so busy, we just couldn't fit it in. We had ceased being a family. We were just four people, going from one activity to the next. We stopped communicating with each other, and we stopped enjoying each others company. I really wanted a change, as did the rest of us, but once you get started, it is really hard to stop. What saved us was the torrential rains we received this summer. Because of the rain, activities started to be cancelled. Instead of rushing home, grabbing a bowl of cereal, or a peanut butter sandwich, I was able to go home after work and cook supper. We weren't rushing somewhere so we were able to eat as a family. It was really nice to start cooking, and it was nice to be together. 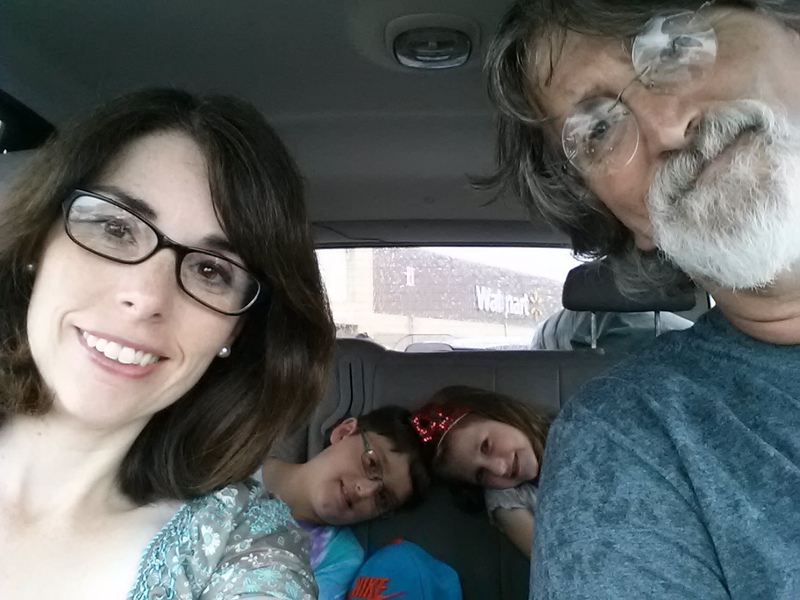 Then last week, instead of turning on the television, we started playing games as a family again. The kids were the ones that asked, in fact pleaded, so we said yes. We had so much fun, that we started playing games every night! We have had a great time reconnecting again. We have talked and laughed, and joked with one another, and I was thinking to myself last night as we played Phase 10, these are the times that the kids are going to remember the most. The fun times, the family times. So thanks to the rain, we may not have a garden, but we have our family back! Tonight Drew was supposed to have a baseball game, but guess what? It was cancelled due to a rain storm. I'm kind of glad, because now we get to finish that game of Phase 10 we started last night. I know that while he will be sorry about not playing baseball, he will be more excited about being together as a family and finishing that game. For the next year, the activities are going to slow down. We are going to be very careful what we chose. We are not going to be gone every single night. I know we won't be able to have game night every single night, but we are going to be home, and eat supper together, and enjoy what little time we have before the kids grow up and are gone. Have you found that activities rule your life? 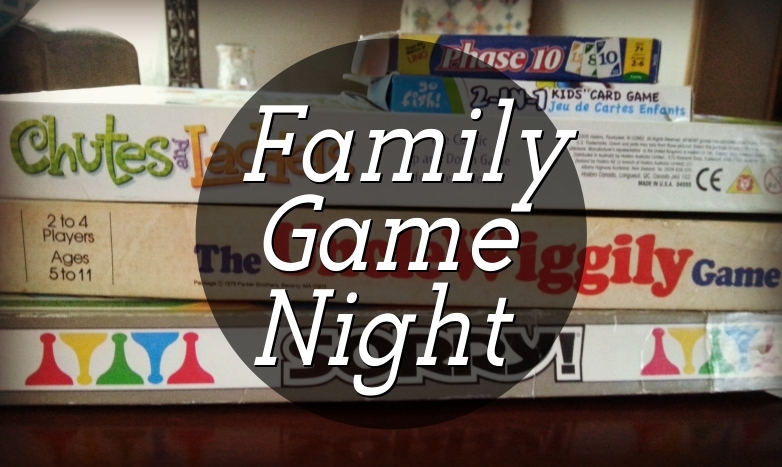 Great post!...and great idea to make family game night a priority. It is super important in my opinion. Kiddos do grow up way too fast. Family time is the best especially in this day and time.